YouTube announced on Monday the start of its partner program in Bulgaria, which will provide new opportunities for Bulgarian content creators. YouTube offers unlimited opportunities to all authors, allowing them to earn from quality content, to analyse their effectiveness, and to reach new places and international audience in innovative ways. Bulgarian content creators can expand both their reach and their potential earnings with the start of the programme. As part of the initiative, all authors can benefit from a variety of sources, functions and programmes, which are provided by YouTube for the creation of channels and audiences. Creator Helpbook, Creator Academy and Creator Hub are only part of the tools, which could be used for the creation of better content, the attraction of new fans and turning creativity into a career. The Partner Programme of YouTube offers to creators of video content opportunities for earning from advertisements and/or fees. It also offers flexibility as YouTube does not oblige its partners to provide content exclusively, meaning that they could distribute it and earn through other platforms. All authors will be eligible to follows and manage the effectiveness of their channels with YouTube Analytics, which offers a diversity of reports and statistics. 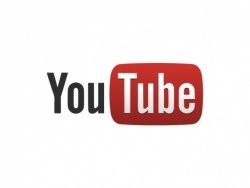 The author can monitor one’s performance and earnings in YouTube in order to analyse and improve one’s activity. Paris Childress, Business Development Manager at Google in Bulgaria said that at present there were over one million channels from more than 30 countries, which generate revenue from the Partner Programme. With one billion unique visits monthly and 100 hours of video content uploaded on YouTube every minute, the platform has large number of active users, who search, watch, like, share and comment the videos. Childress expressed his satisfaction that Bulgarian content creators could finally join the programme. He assured that a lot of efforts will be invested in helping creators earn from their content, to develop, to improve their skills and creativity, creating networks and cooperating with other partners.